1-Use cloth diapers. We love gDiapers, because they are compostable, flushable, super easy to use, eco-friendly, and they pair the convenience of disposable diapers with the green attributes of cloth diapers. 2-Choose handmade, plastic-free, organic, non-toxic toys for baby&apos;? ?s first toys and teethers. Keep baby&apos;? ?s immediate environment as pure as possible by opting for safe, long-lasting, high quality teethers and toys. We love Greensprouts hand teething rattle and Little Alouette&apos;? ?s wooden keys as teething toys. Top toy choices for new babes, include Exlibris Handmade Custom Cloth books, (since it&apos;? ?s never too early to start reading to your baby), and Monsieur Tse Tse is a sweet, organic stuffed toy baby will love clinging to. 3-Keep chemicals including BPA, PVC and phthalates out of your baby&apos;? ?s feeding regime. Select bottles and feeding sets made from safe, non-toxic alternative materials. We love Squishy Bowls, and ThinkBaby bottles and Feeding set. 4-Since baby will be spending most of his time in his nursery, secure his environment with eco-friendly attributes from top to bottom. From his crib and bedding to the nursery decor and air quality, we love Oeuf&apos;? ?s convertible kid&apos;? ?s furniture, Petit Collage&apos;? ?s bamboo mobiles, the Airpod, and Cotton Monkey organic bedding. 5-Choose personal skin care products wisely. Select pure, organic ingredients for body wash, shampoo, lotion, diaper cream and toothpaste. We also recommend using organic cotton washcloths and PVC, BPA and phthalate free bath toys. We love Under the Niles washcloth puppet pals, Boon&apos;? ?s bath toys, and Weleda&apos;? ?s baby care product line. 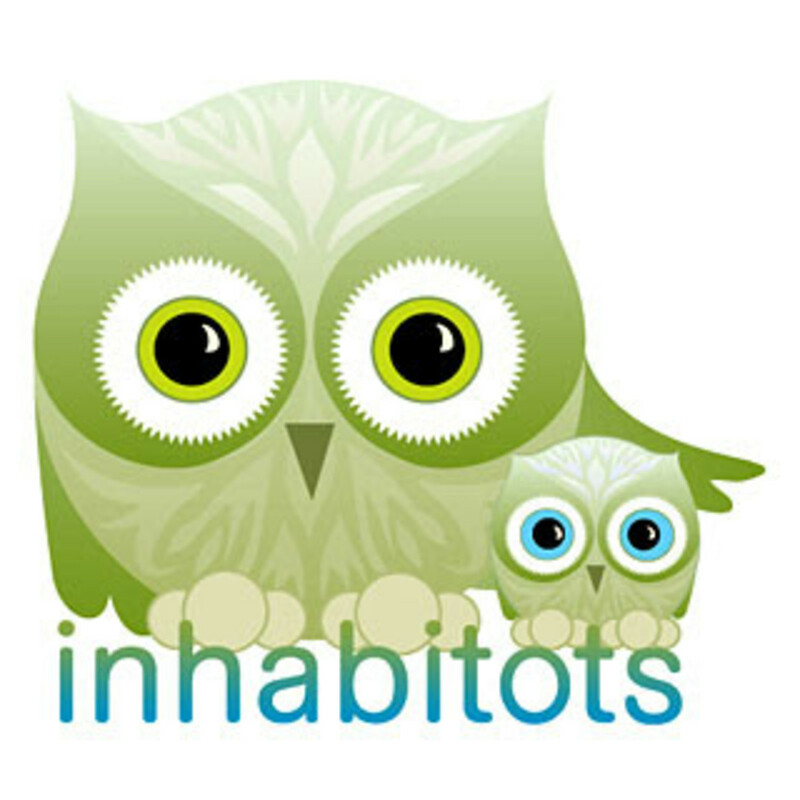 Inhabitots is a weblog devoted to sustainable design for the next generation. The baby site of Inhabitat.com (a favorite resource for grown-up goodies), Inhabitots covers eco-friendly baby clothing, furniture, gear, toys, and green lifestyle choices to help benefit the little ones in our lives. Editors Jill Fehrenbacher and Beth Shea are young moms dedicated to promoting environmental living and parenting. Beth is the mother of an adorable 20 month old daughter and the founder of eco-parenting blog, Petite Planet. New York-based momtrepreneur and proud mother of a seven-month old, Jill is obsessed with the Bauhaus (art movement), vegan cupcakes and green design evangelism.